Is there a universal language of love, a "kinship with all life" that can open new horizons of experience? J. Allen Boone has given us a fascinating classic with his stories of simple, challenging, real-life experiences showing how animals communicate with each other and with people who understand them. Example after example - from "Strongheart" the actor-dog to "Freddie" the fly - resound with entertaining and inspiring proof that communication with animals is a wonderful, indisputable fact. All that is required is an attitude of openness, friendliness, humility, and a sense of humor to part the curtain and form bonds of real friendship. For anyone who loves animals, for all those who have ever experienced the special devotion only an animal can bring, Kinship With All Life is an unqualified delight. Sample these pages and you will never encounter "just a dog" again, but rather a fellow member of nature's own family. 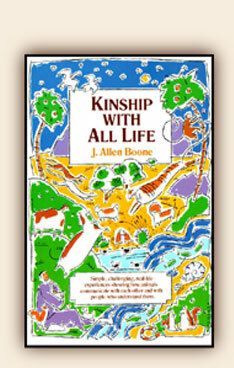 Kinship With All Life is one of the most important gifts you can give yourself and others! This phenomenal book has the ability to change your awareness of and connection with all life around you.